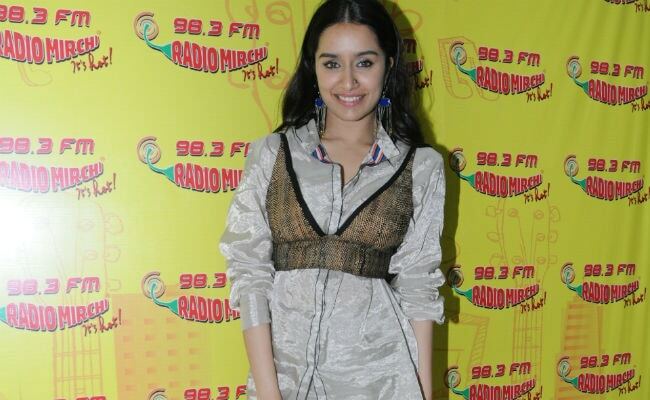 Shraddha Kapoor at a promotional event in Mumbai. Shraddha Kapoor, who is busy with the promotional duties of her upcoming horror comedy film Stree, believes that "every film is risky." During a recent media interaction, Shraddha talked about her upcoming film and told IANS: "I think every film is risky in some way or the other because the audience is changing rapidly and it is difficult to predict what our audience wants to see." The actress also said that she has no control over the box office performance of a film and that she chooses to focus on her performance rather than the film's business. "That is why the only thing I am focused on is giving my best while making a film. The result, box office number... is not in our hands. As an actor also, I enjoy the process of film making," IANS quoted her as saying. Speaking to IANS, Shraddha talked about how today's audience prefers to watch content-driven films rather than films featuring big stars. She added, "I don't think people go to the theater only to watch a star... rather they watch a story. People are really smart to choose a film by its trailer and there are various avenues of entertainment. Audiences want good content." On the work front, Shraddha Kapoor is currently busy with the promotions of Stree. She also has Batti Gul Meter Chalu, opposite Shahid Kapoor and Sujeeth Reddy's Saaho, co-starring Baahubali actor Prabhas, in the pipeline. Shraddha Kapoor made her Bollywood debut with Leena Yadav's Teen Patti, which did not fare well at the box office. Shraddha is best-known for her performances in films such as Aashiqui 2, Ek Villain, ABCD 2 and Baaghi. She was last seen in the 2017 biopic Haseena Parkar.